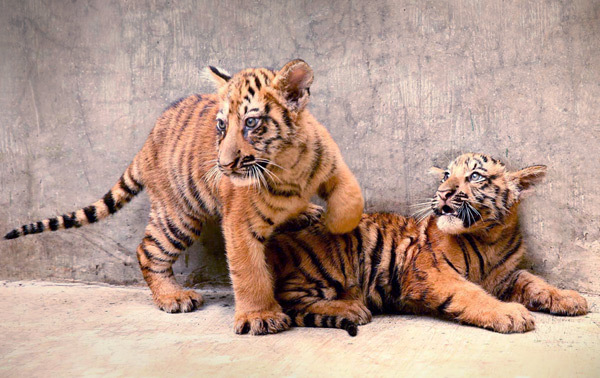 Two new Bengal tiger cubs were born in Bali Safari & Marine Park a few weeks ago. These two cubs are yet to be named but are showing signs of their behavior that will help the staff find the right name for each. These two cubs are part breeding program within Taman Safari Indonesia. Bengal tigers live in India, Nepal, Bhutan and Bangladesh. Over the last 100 years, hunting and forest destruction have reduced tiger populations from hundreds of thousands of animals to perhaps fewer than 2,500.